Here are the top 500 best marks returning from 2018, we've also added their progression from previous seasons. Kyle Lipscomb had himself a marvelous season in the shot put this past winter and is looking to be among the very best once again in the discus this spring. 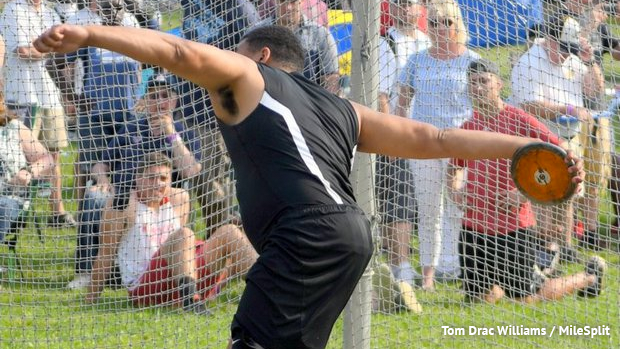 The Linden senior was second at last year's Meet of Champions with his PR throw of 184-08. In third at that meet not far behind him and also ranked second on this list is Princeton's Paul Brennan. Also entering his senior year Brennan is definitely in the mix for that MOCs title as well. An eye should also be kept on Elizabeth's Ali Mujeeb who saw massive improvement in the shot put this winter. The increased strength and confidence there can surely cross over to his discus performance, a possible big PR on the way and early. If you would like the traditional returners list with grade years and meets check out the top 1,000 here.